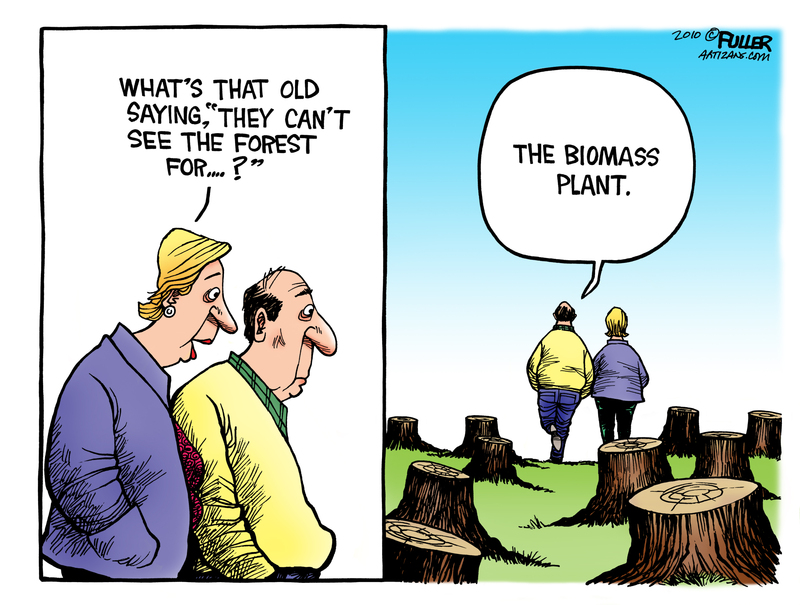 We’re supposed to believe that coal-hungry Germany and forest-clearing biomass-burning Britain are impressively ‘green’. Their obsessive renewables bias has made new gas-fired power stations hard to justify for energy firms. Europe is facing power generation capacity shortages and may even risk blackouts without additional use of natural gas, one of the continent’s biggest producers of the fuel said. “A severe shortage” in generation capacity is expected in the U.K., Germany, and Belgium, Tor Martin Anfinnsen, senior vice president for marketing and trading at Statoil ASA, said in an interview at a conference in Amsterdam on Tuesday. A lay person’s view of the global warming furore. When we hear ‘unprecedented’ it usually turns out to mean ‘since about 1979’, which obviously leaves out most of Earth’s history. You have heard the wailing and screaming about President Trump’s exit from the Paris Climate Accords, but do you understand that the agreement, never ratified by the U.S. government (NOT a treaty) accomplished nothing at all to modify or change the climate. 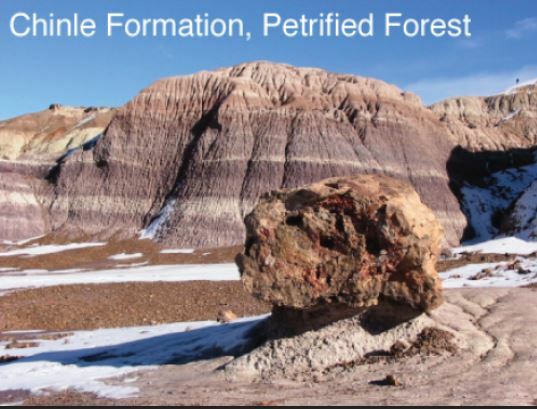 The climate of the earth has been changing mildly for millions of years, and there is no unprecedented Global-Scale modern warming. The “Accords” were designed to transfer large amounts of wealth from the rich nations to the poor nations, ostensibly to allow them to save themselves from that non-existent unprecedented warming. The headline from the source should perhaps mention that those ‘variations’ can include ‘no global warming trend’, or hiatus, as explained below. New research has shown that natural variations in global mean temperature are always forced by changes in heat release and heat uptake by the oceans, in particular the heat release associated with evaporation, reports Phys.org. Analysing data from six climate models that simulated future climate change scenarios for the last International Panel for Climate Change (IPCC) Report, which appeared in 2014, University of Southampton Professor Sybren Drijfhout has shown that in all cases variations in global mean temperature were correlated with variations in heat release by sensible and latent heat. As discussed last week, several reports have shown in the last year or two that carbon dioxide (CO2) does not significantly affect global temperatures, contrary to endless repetitions to the contrary by climate alarmists and the mainstream press. Today some of the same authors of the reports discussed last week have released a new report that among other things makes a similar point using a different data set, making a total of 15 such data sets between the earlier reports and this new report. 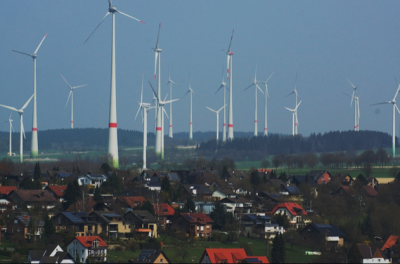 New subsidies for ageing European wind farms, or death spiral? Good luck dismantling and trying to recycle redundant end-of-life wind turbines and their massive concrete bases. New academic research on whether to repower or extend the lifetime of an obsolescent wind farm in Europe reveals that without new subsidies for repowered sites, low cost lifetime extensions focused on maximising return before decommissioning are more probable, with a potential to affect about half the wind turbine fleet in Germany, Spain and Denmark. In the absence of new subsidies, we could be looking at the beginning of the end for the wind industry in Europe, says The GWPF’s energy editor. The author poses what he calls the ‘major question’: why does CO2 have no significant effect on temperatures in the real world? (See also this Press Release). The major development in climate science in the last year or two is something almost no one talks about, says Alan Carlin – strong evidence that changes in atmospheric carbon dioxide levels have no significant effect on global temperatures in the real world over recent decades. 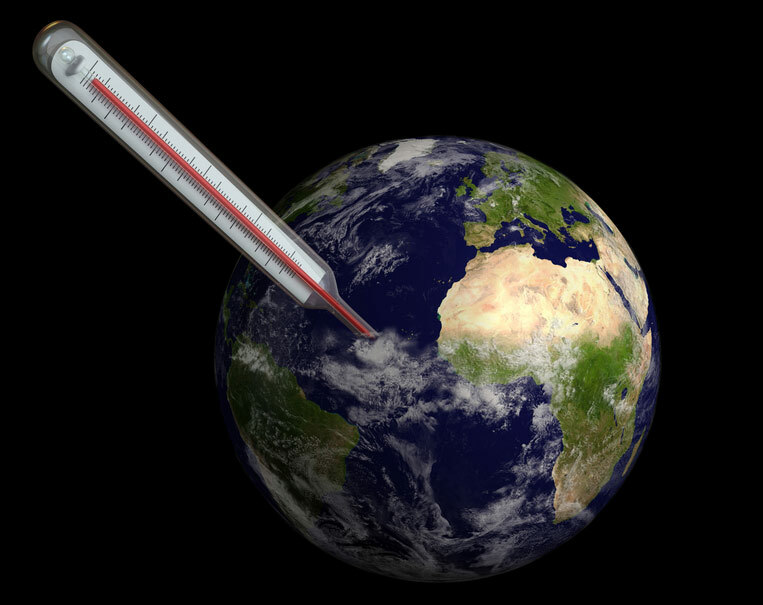 The studies involved conclude that the minor increases in global temperatures during this period can be entirely explained using natural factors. All this rests on the notion that humans can somehow tune the climate to their liking – whatever that may be – which of course has never been shown to be true. 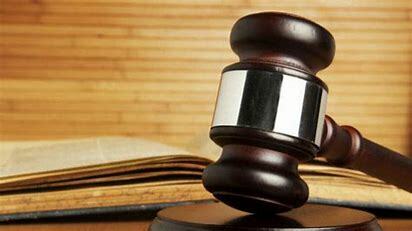 Are court cases and ‘rule books’ just the latest attempts to impose the will of one group in society, over everyone else? As this report says: ‘But such court battles are long, and often fail’. And ‘long’ often means expensive. After climate talks in Bonn, many criticize outcomes as weak. Increasingly, concerned citizens see legal action as a path for climate action — a thousand climate lawsuits are currently active around the world, reports DW.com. 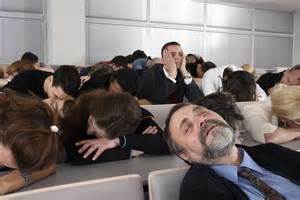 As climate negotiators return home after a two-week “intersessional” climate change conference in Bonn, Germany, their homework is only half finished. The COP24 annual climate conference, scheduled for December in Katowice, Poland, is supposed to decide a “rule book” for implementing the Paris Agreement. But with so much at stake, there’s not nearly enough action, environmental activists say. So the climate talkshop moves on to Bangkok, by which time it will be nearly three years since the Paris ‘agreement’. But if they still can’t agree on anything after nine days, is waiting another few months going to make much difference? Without the USA the whole process is starting to look a bit forlorn. UN climate officials add a week-long session in Bangkok in September to the diary, as Bonn talks make insufficient progress on the Paris Agreement rulebook. The Scottish Government’s claim in court that it had not banned fracking has been described as ‘beyond humiliating’; as two petrochemical companies argued that ministers did establish an ‘unlawful’ ban, reports the Daily Telegraph. So much destruction, as ScienceAlert reports. 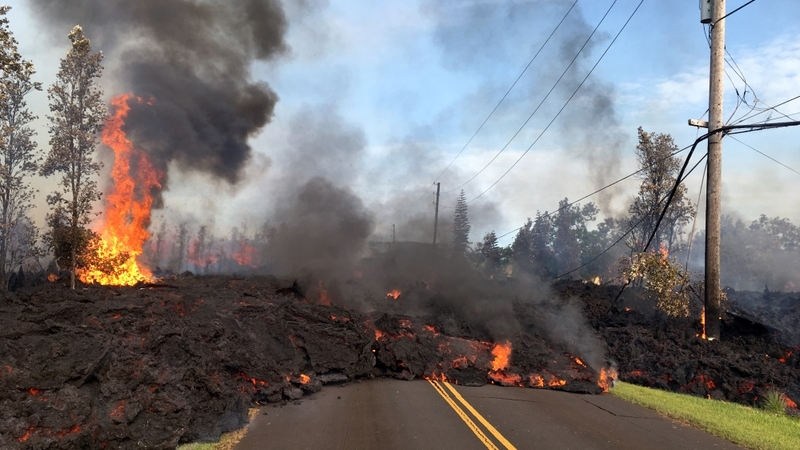 For the fleeing residents who had to evacuate the cracked, burning streets of Leilani Estates, Hawaii, last week, it would be natural to hope they could return to their homes shortly once the fury of eruption relents. But that fury may not quit soon. The truth is this eruption didn’t happen last week. Amazing what can be gleaned from a 1,700 feet long rock core. 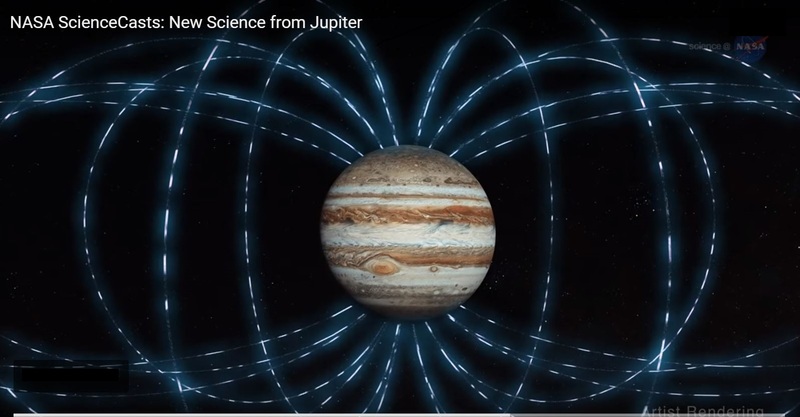 Every 405,000 years, gravitational tugs from Jupiter and Venus slightly elongate Earth’s orbit, an amazingly consistent pattern that has influenced our planet’s climate for at least 215 million years and allows scientists to more precisely date geological events like the spread of dinosaurs, according to a Rutgers-led study. 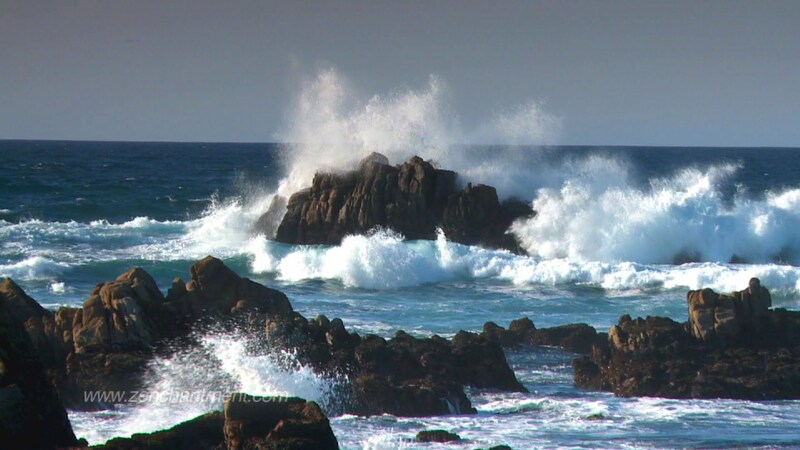 The findings are published online today in the Proceedings of the National Academy of Sciences, reports ScienceDaily. New insights on the internal workings of the Sun. The lead researcher notes: “Solar Rossby waves are gigantic in size, with wavelengths comparable to the solar radius”. They have maximum amplitudes in the Sun’s equatorial regions. A team of scientists led by the Max Planck Institute for Solar System Research (MPS) and the University of Göttingen has discovered new waves of vorticity on the Sun, reports Phys.org. As described in today’s issue of Nature Astronomy, these Rossby waves propagate in the direction opposite to rotation, have lifetimes of several months, and maximum amplitudes at the Sun’s equator. For forty years scientists had speculated about the existence of such waves on the Sun, which should be present in every rotating fluid system. Now, they have been unambiguously detected and characterized for the first time. The solar Rossby waves are close relatives of the Rossby waves known to occur in the Earth’s atmosphere and oceans. But what is driving the drivers – that bright thing in the sky perhaps? A recent study reveals the large-scale dynamic drivers of the prolonged spring-summer drought over North China, where prolonged drought tends to begin in spring and persists to summer with severe societal impacts, says EurekAlert!. North China, where almost half China’s population lives and most wheat and corn are grown, is facing serious water crisis. Since the late 1990s severe and extreme droughts have frequently dropped by and drought affected area has been increasing by 3.72% decade-1 in the past five decades, posing great challenges for regional sustainable development. Scientists have been concerned that if climate continues to warm in the future, there is a high confidence level that drought over North China will continue to increase. 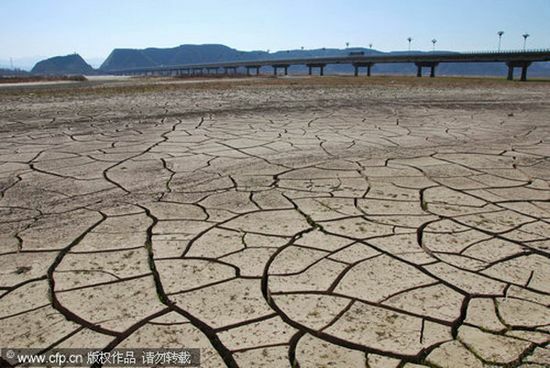 Thus, it is of great importance to identify the drivers and dynamic mechanisms of North China drought in order to improve drought prediction and better water management. The theory here is that the Cahokians had no experience of Mississippi floods for several centuries, likely due to the drought-prone Medieval Warm Period, and had no defence when one eventually did occur. In those days of course there were no oil or power companies for agitators to point the finger of blame at for such natural disasters, and they didn’t know they were on a flood plain. Cahokia’s run just happens to line up with a hiatus for the area, as Scott Johnson explained in this 2015 article. Long before Europeans arrived to settle St. Louis, an impressive human construction stood on the eastern side of the Mississippi River. It was the Native American city of Cahokia. 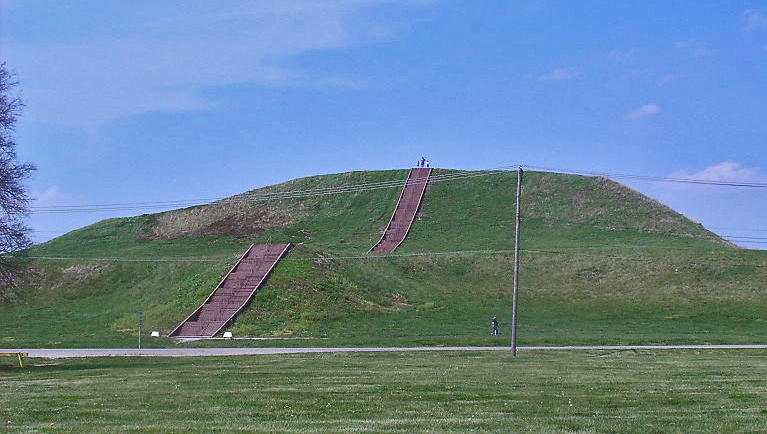 At its height, tens of thousands lived in and around Cahokia, leaving behind great earthen mounds as testament. The largest still stands about a hundred feet tall today, minus what was likely a temple that once adorned its crest. Like all societies that disappear, we naturally wonder what brought this one to an end around 1350 AD, after a run of hundreds of years. There’s a suspicion of confirmation bias, or seeing what you wanted to see, in stories like this. But we’ll look for any merits in the ideas anyway. Claims that Planet 9 can’t hide much longer haven’t proved correct so far. 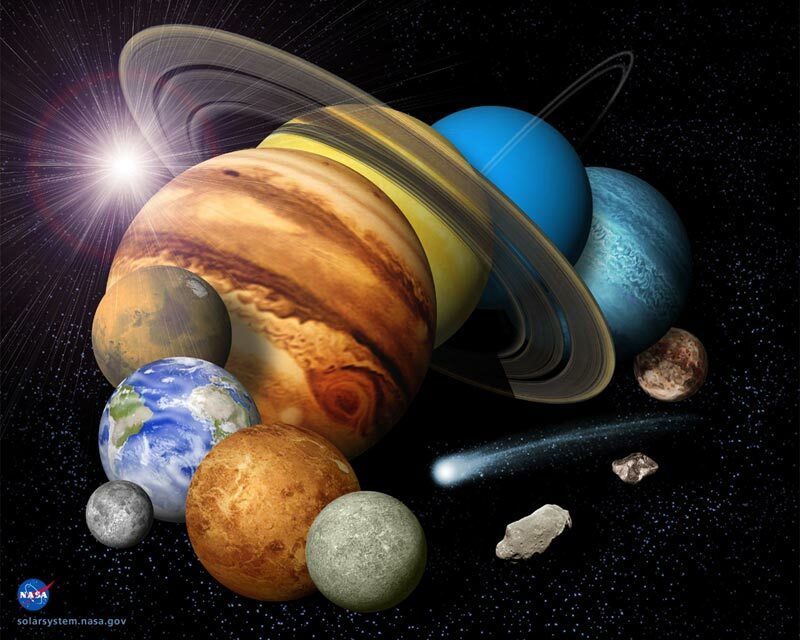 Observations made a thousand years ago could help modern scientists find the theoretical “Planet Nine” in the outer reaches of the solar system, says Live Science. Meanwhile, archives back on Earth are home to dozens of medieval records documenting the passage of comets through the heavens. Now, two researchers from Queen’s University Belfast in Northern Ireland are hoping to use these old scrolls and tapestries to solve the modern astronomical mystery of Planet Nine. UK political leaders are hopelessly hooked on climate dogma, leading to various strange decisions and economically damaging policies. 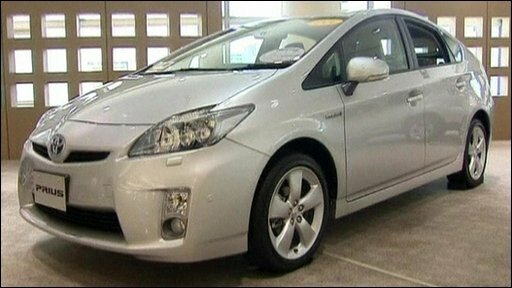 The SMMT trade body hits out after reports the government will target hybrids in a new emissions drive, says BBC News. The UK’s car industry has hit out at the government over unconfirmed reports ministers will target hybrid vehicles as part of a new emissions crackdown. New cars unable to do at least 50 miles on electric power may be banned by 2040, a ruling that would hit the UK’s best-selling hybrid, Toyota’s Prius. 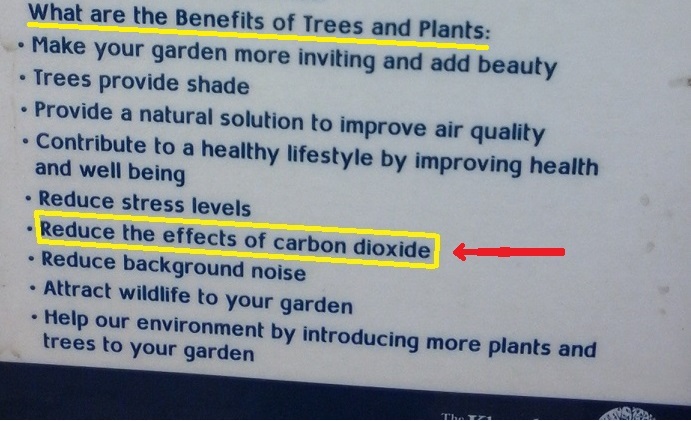 No hiding place from the trace gas fear campaign…several of these notices were displayed around a local garden centre, to promote plant sales. There’s the usual speculative talk of exotic materials, mysterious dynamos and so forth, but the probe is delivering plenty of data for scientists to analyse and ponder over. When NASA’s Juno spacecraft recently flew over the poles of Jupiter, researchers were astonished, as if they had never seen a giant planet before, says Phys.org. And in a sense they hadn’t. Can CNG trucks go the distance? The idea here is that high pressure carbon-fibre fuel tanks should help to demolish the ‘range anxiety’ of truck operators who need to cover big distances daily, by giving a range of upto 500 miles. America already has some, but these are the first in Europe. Lifetime costs should be lower than regular trucks, but the report doesn’t say where the ‘renewable biomethane‘ fuel is coming from. Delivery trucking is a dirty business, but the companies that rely on it are working to clean things up – and compressed natural gas is emerging as a useful alternative to our reliance on diesel power. 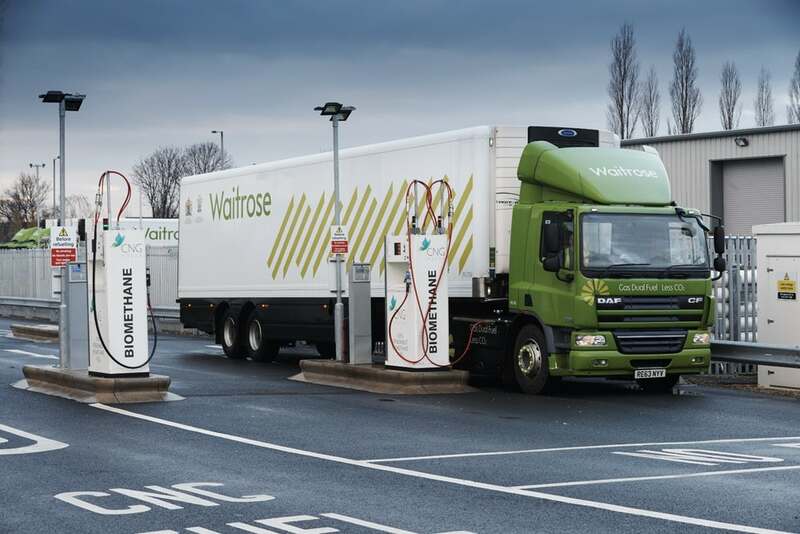 In the UK, Scania has created a fleet of biomethane fueled trucks for Waitrose, which is looking to reap the rewards with lower running costs and less emissions, reports New Atlas. 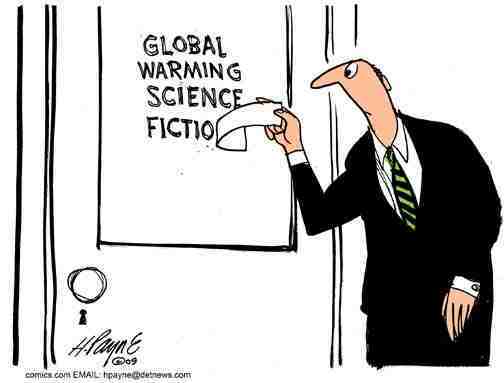 Warming up for climate negotiations ? Where have we heard this before? Obviously at every other UN climate meeting that tried to extort vast sums of money from unwilling donor countries, to pay for supposedly climate-related schemes. No wonder the USA walked away from the endless wrangling over a trace gas in the atmosphere. Old divisions between rich and poor over money and ambition are again threatening to limit progress in UN climate negotiations, says BBC News. Discussions between negotiators from nearly 200 countries have resumed in Germany, aiming to flesh out the rules on the Paris climate pact. 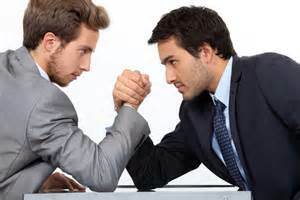 But developing countries say they are “frustrated” with the lack of leadership from the developed world. Commitments to cut carbon are still “woefully inadequate” they said.